As local rights groups seek alternative funding sources, the closing space for civil society makes this even more imperative. A contribution to the openGlobalRights debates on closing space for civil society and funding for human rights. It’s almost always the same argument. Or excuse. Governments joining the accelerating global trend of restricting civil society at home like to claim that they are protecting their country against meddling “foreign powers”. No one has to like, or agree, with that point of view in order to take it seriously, and perhaps even to see the onslaught as an opportunity. As the saying goes, a crisis is a terrible thing to waste. The assaults on civil society globally—as outrageous as they are—could help to provoke a hard, sustained and urgent look at the prevalent model of external funding in support of human rights and social justice issues. So many governments seem to be working off the same scripts and blueprints when they target, threaten and question the very legitimacy of groups and entire sectors. It is surely now time, in a fast changing world, for civil society and its supporters to work together to come with more imaginative, structural and strategic responses. In fact, that rethink is long overdue. For some years now, aid from international donors has no longer been the only “show in town”. Development funding is already starting to diminish or to become more directly associated with countries’ commercial interests. Local philanthropic sectors are emerging in many parts of the world that were traditionally considered purely “aid recipient” countries, as Zoe Gudovic has pointed out about Serbia. The super-wealthy are establishing their own foundations (relatively few of which are yet interested in achieving their mission through grants to civil society), many of which already overtake their European and North American peers in asset size (such as in China). As Linda To writes in her piece about Hong Kong, in many countries a growing middle class has its own disposable income and an appetite for giving to social causes through organized and participatory platforms. Raising money locally can be hard work, as Jenny Barry and Okeoma Ibe have discussed about Mexico and Nigeria, respectively. It’s far easier, of course, to submit a proposal to an eager external donor who shares your goals, and, let’s not deny it, your jargon. Local funding is a crucial—and sadly overlooked—part of a larger strategy for getting people to learn and care about your cause.But local funding is not just about the money. As Gudovic, To and Barry have previously inferred, it is a crucial—and sadly overlooked—part of a larger strategy for constituency building, for getting people to learn and care about your cause, so that when your organization gets closed down there are people in the community that may actually notice and care. Shifting the balance of funding power (because yes, it is power, even if we consider it to be “good” power) from the “international” to the “local” is going to be a long, and inevitably slow process. But there is already a powerful body of evidence and practice from a growing set of institutions in the global South—including community foundations, community philanthropy organizations, women’s funds and other types of local grassroots grantmakers—that offers some important insights into the debate. The truth is that there is no better time for those concerned about development approaches that build local constituencies and local supporters to listen more closely to the voices—quiet, passionate, credible and deeply-rooted—of the emerging global field of community philanthropy. In recent years, local institutions of community philanthropy around the world—from Zimbabwe to Romania, from Uruguay to China—have begun to develop a collective voice and to demand attention as an essential, but often missing piece, not just of civil society architecture but also of healthy, inclusive communities. By building and stewarding both local and external resources under a single institutional roof and deploying small grants to local groups through open calls for submissions, these organizations are also well-paced to serve as a counter (or complement) to local level government institutions. Most importantly of all, this small but growing field, which emphasizes multi-stakeholder governance and local asset development, and local philanthropy as key to constituency building, has a particular relevance for civil society sectors more generally in the context of shrinking spaces for civil society, the criminalization of activism and the overall reduction of resources in many parts of the world. Building local constituencies and local resources can be key in the survival and success of civil society organizations. Over the past ten years, the Global Fund for Community Foundations has built up a network of over 160 community philanthropy organizations in more than 60 countries: while each organization might look different depending on where they are based, what unites them are some core beliefs around how development will be stronger and more lasting when local people see themselves as co-investors and participants. And yes, it turns out that when a funding base is made up of lots of different of contributions—from local individuals, companies and foundations as well as international sources—and when an organization is embedded in a community, it is able to address certain issues that outsiders might not receive well. Community foundations in Central and Eastern Europe, for example, have started to engage around issues affecting the Roma and, even more recently, around refugees from Syria, in ways that wouldn’t be possible if they hadn’t been there working across a range of other local issues for many years. In other parts of the world, our partners are engaged in other unpopular or sensitive causes such as migrant labour, the environment and peace-building. Again, this work is embedded alongside other, more acceptable, issues. 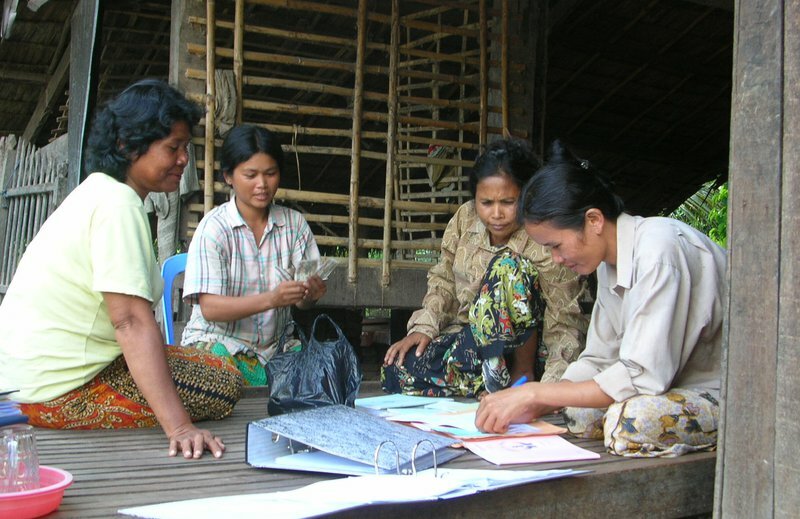 In our efforts to support and grow the field, the GFCF has also always sought to bring together diverse organizations—including those who might be strong in terms of local (financial) support and can be nudged to engage around more complex, structural kinds of issues, with those more rights-focused group which may be strong on programmes but struggle to make their case to local supporters. It’s a journey and all stand to learn from each other. This is a difficult, soul-searching time for civil society and donors alike. Community philanthropy cannot provide all the answers. But the field offers some important insights, in terms of funding and legitimacy, both for struggling local actors, and for international donors trying to stick to their core principles, adapt to local circumstances, and manage long-term risks.